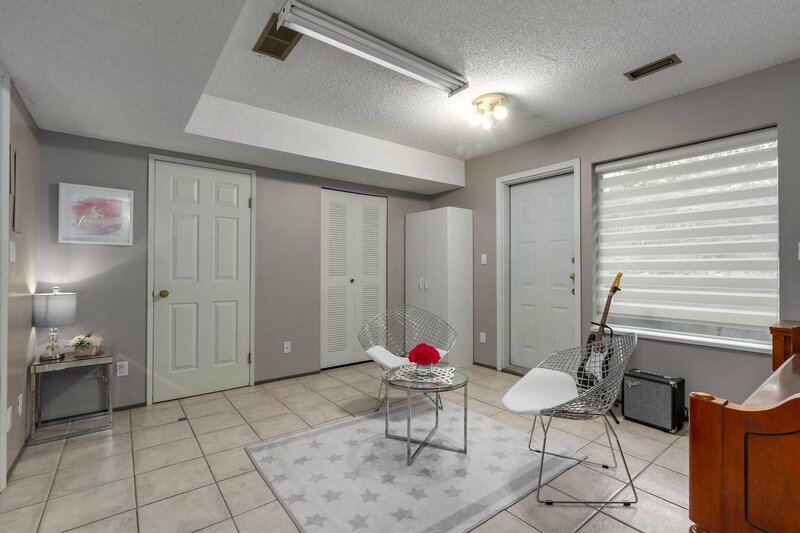 Start your growing family in this well maintained great home in the desirable Huntingwood complex. 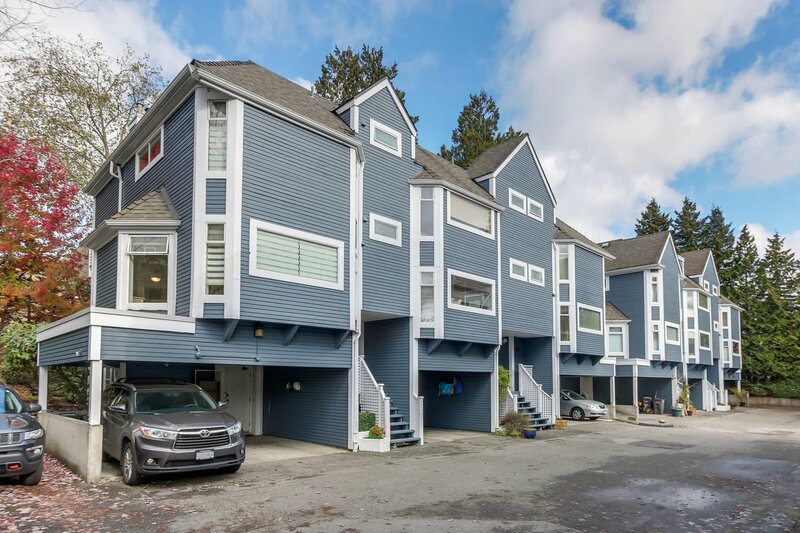 This 1,684 sqft, 3 bdrm & 2.5 bath END UNIT T/H is nicely tucked away on the quiet side of the complex for privacy. 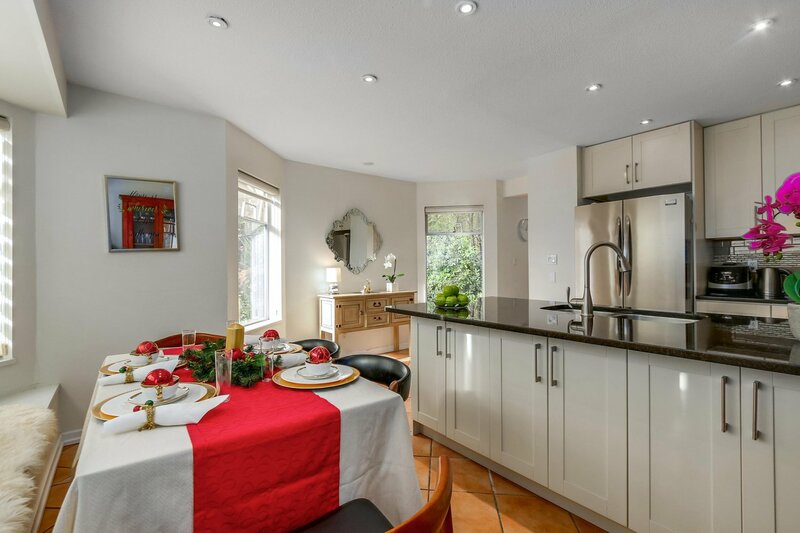 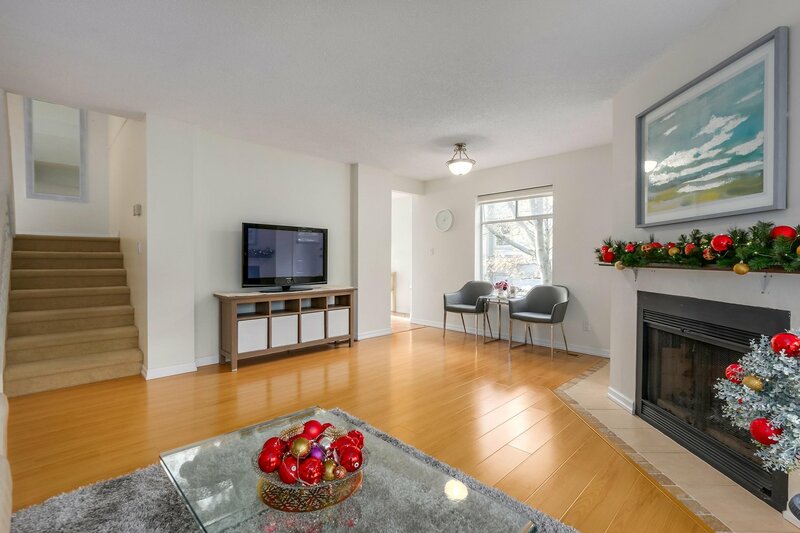 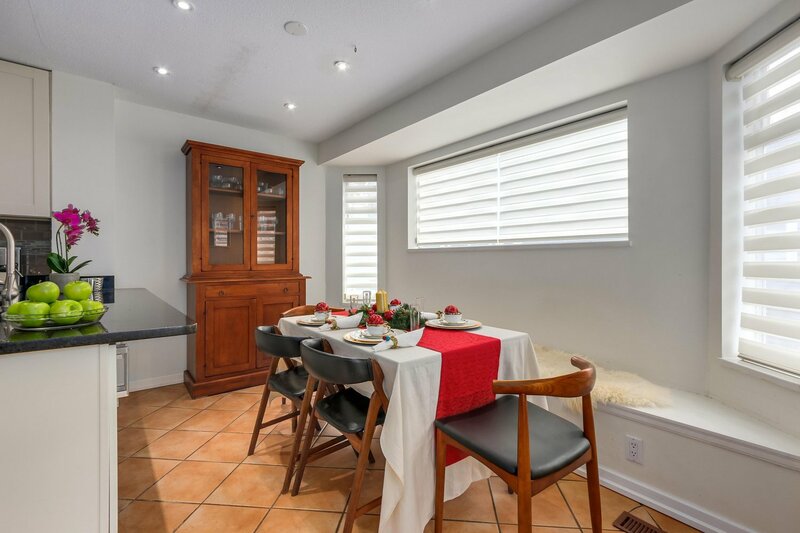 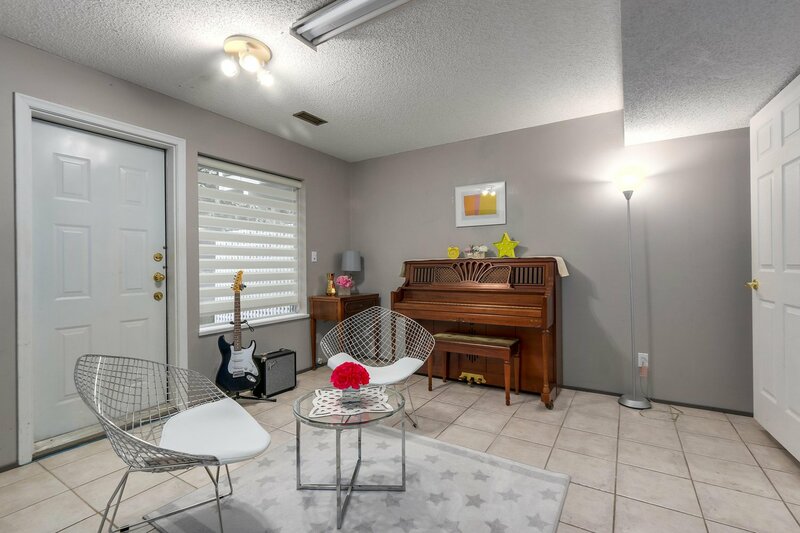 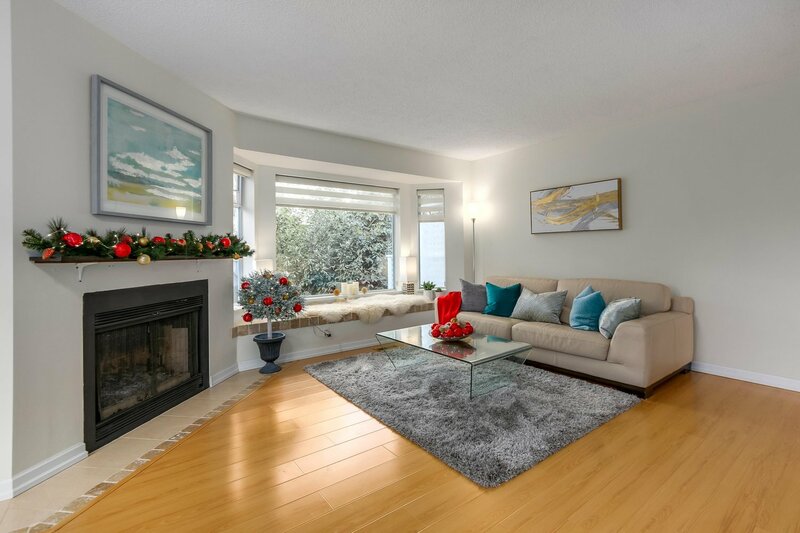 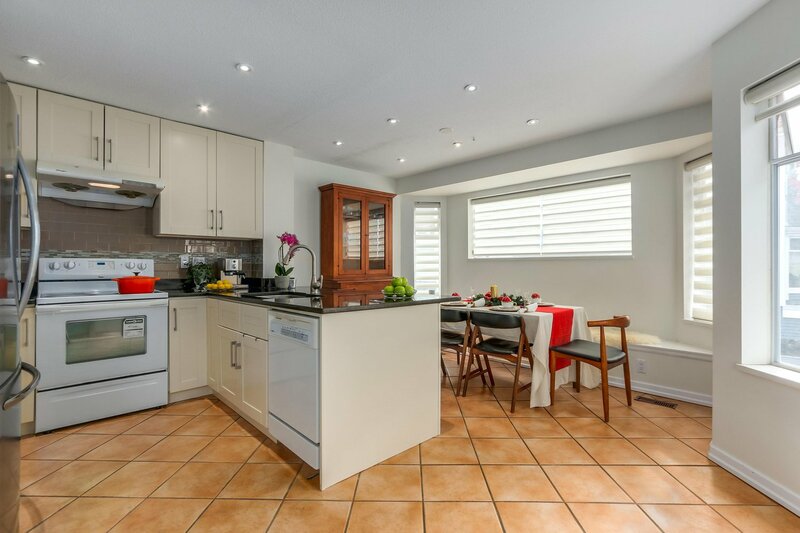 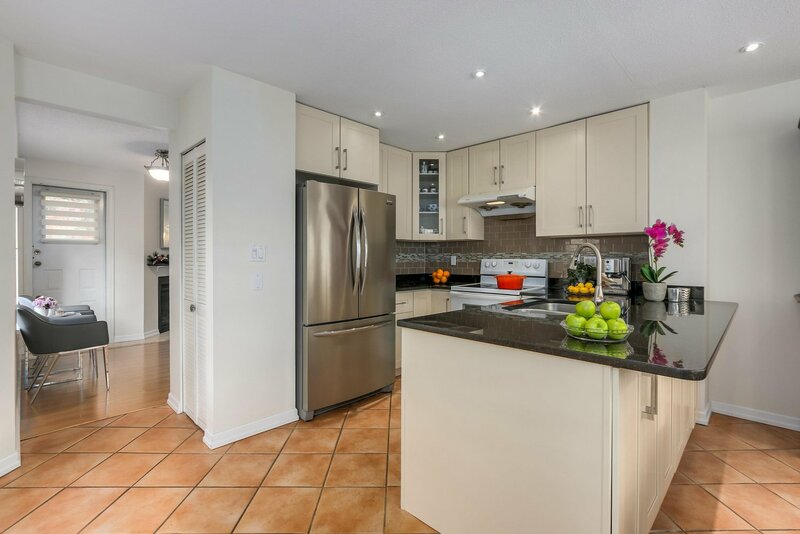 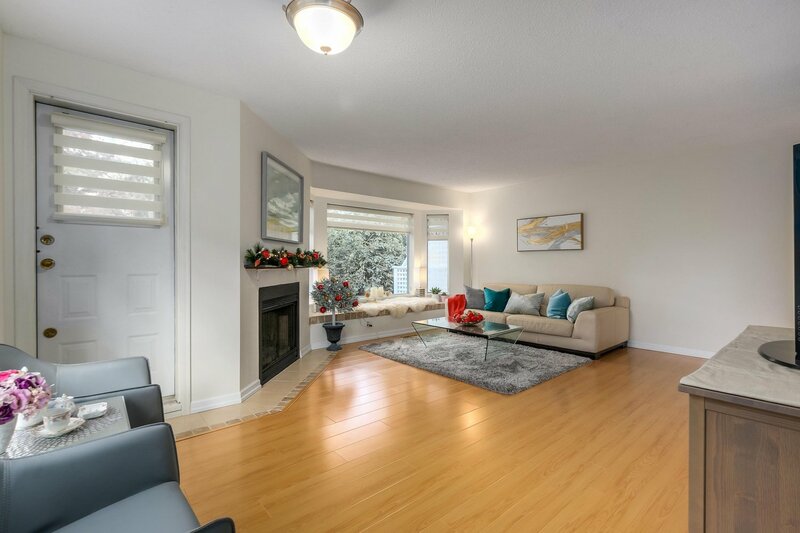 Main floor features south facing upgraded kitchen with heated tiled flooring and combined dining area which makes every square inch count being cozy and efficient. 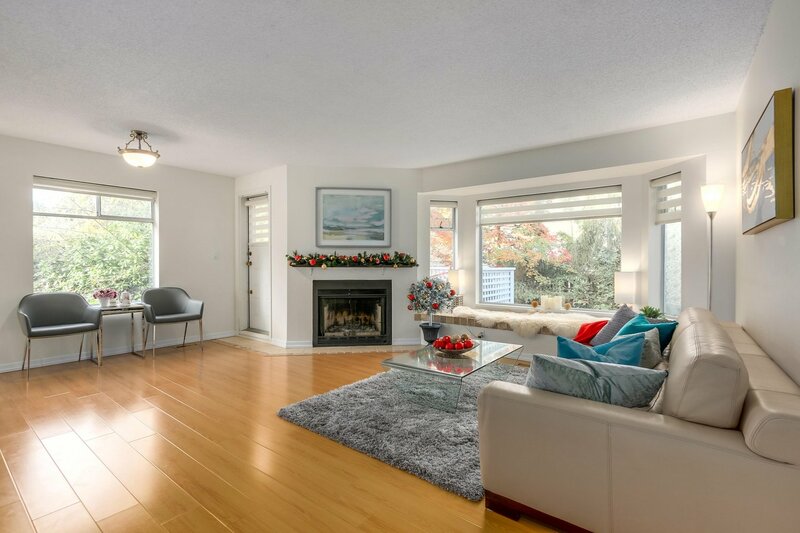 Beautiful living room features a wood fireplace and big entertaining sized deck. 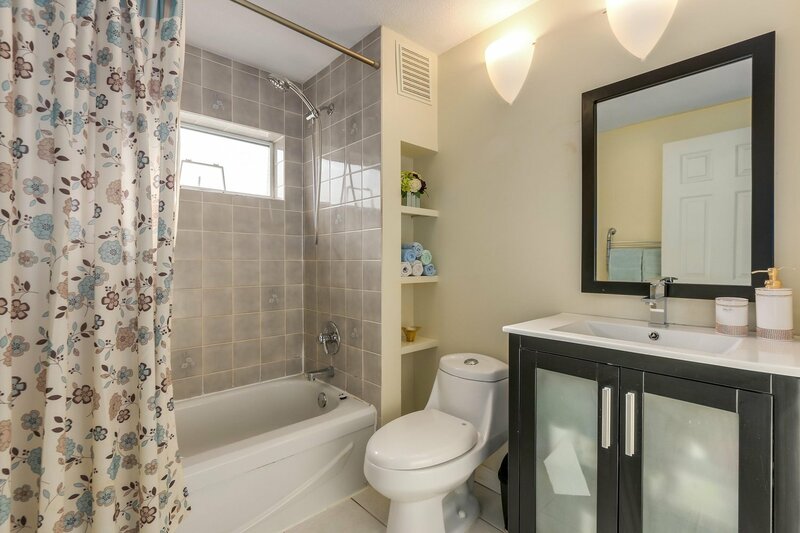 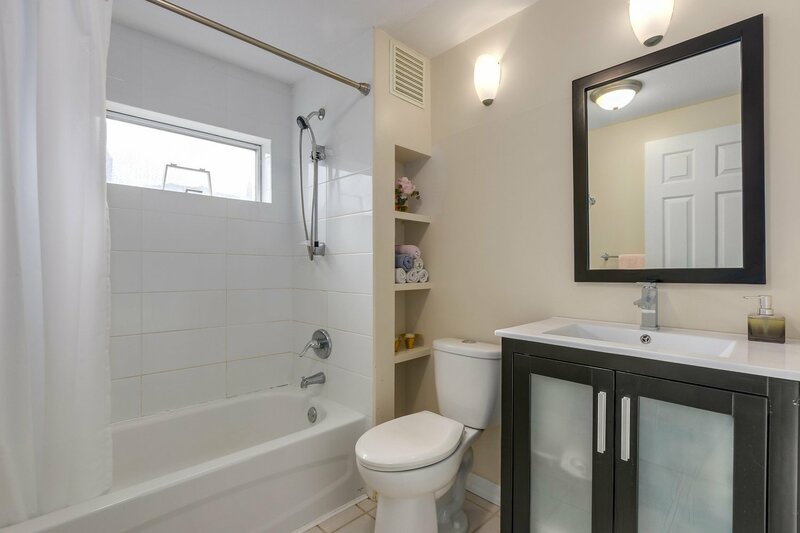 Both upper bathroom also have been upgraded and below main floor is a Rec room with bath/laundry. 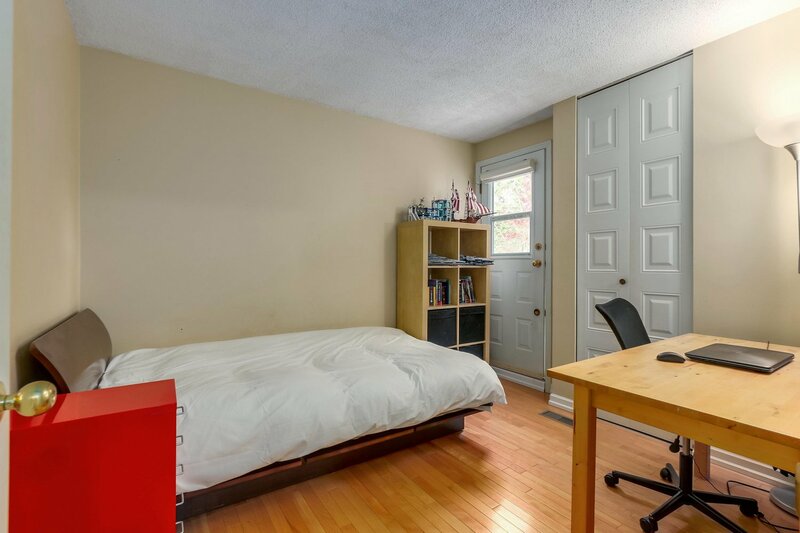 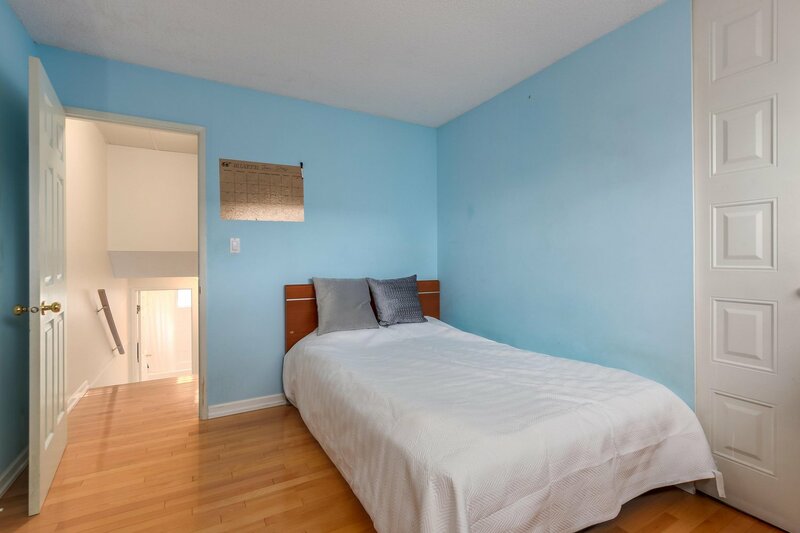 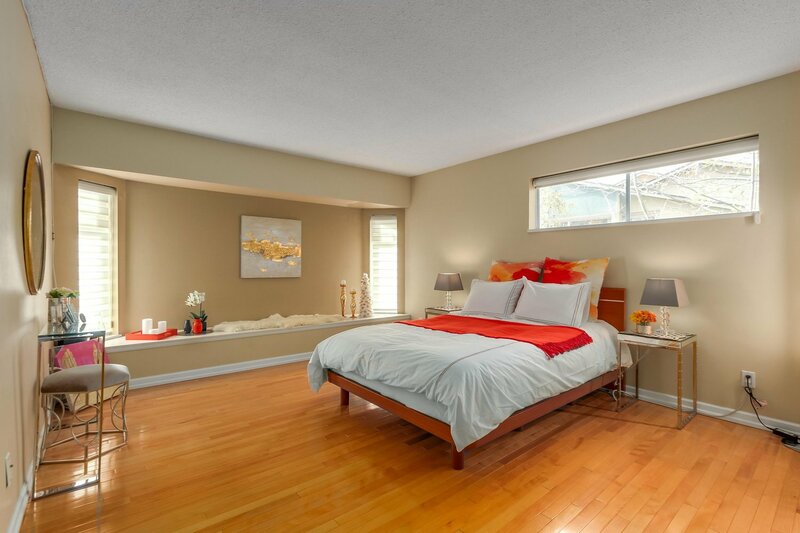 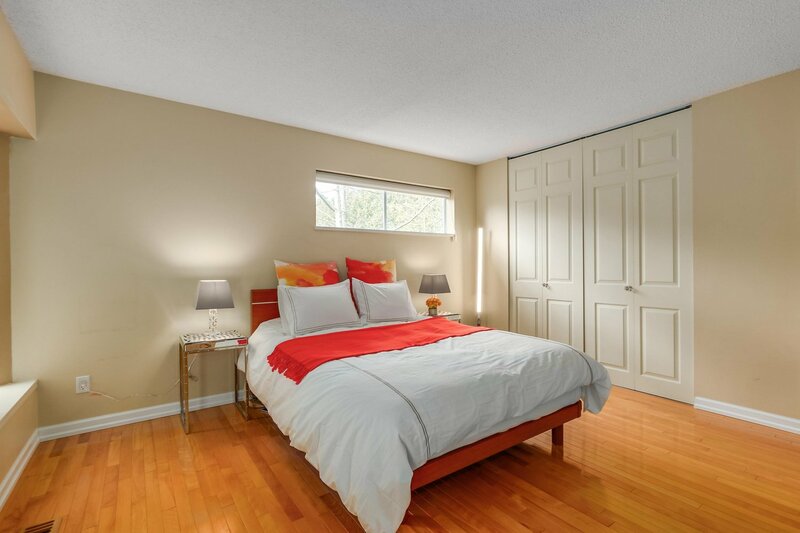 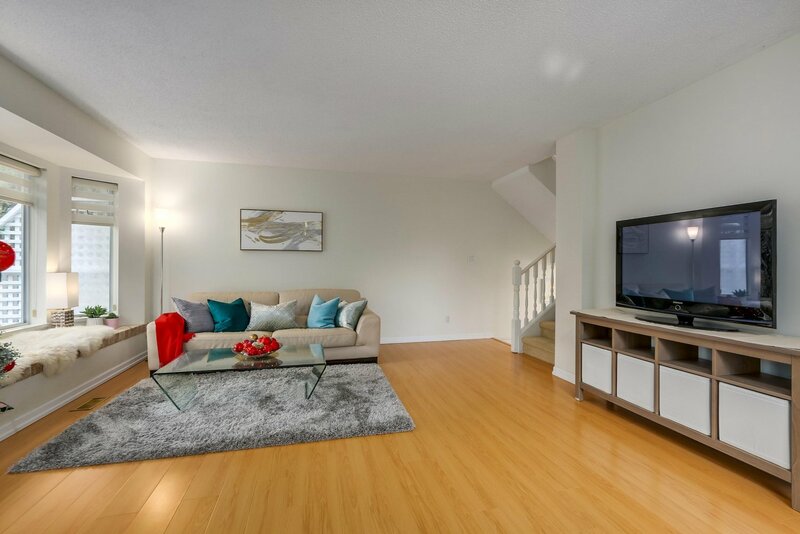 Real maple floors throughout upper floor with a full master bdrm ensuite. 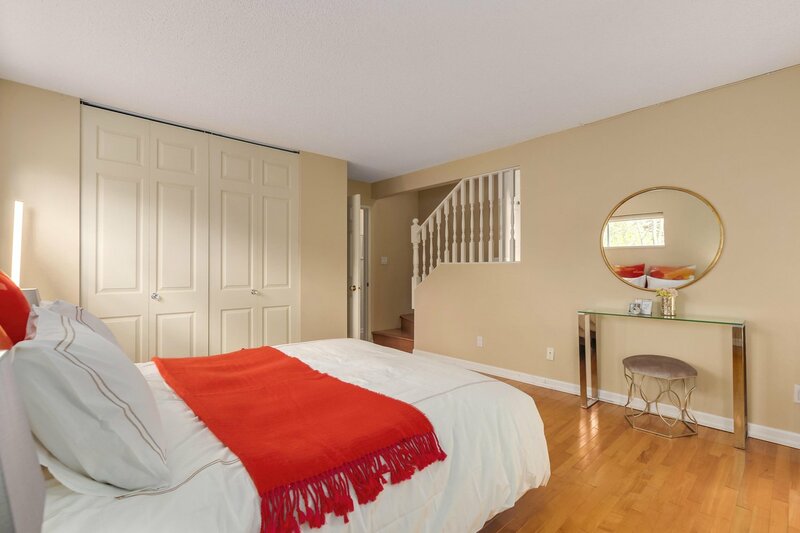 An attic with pull down stairs offers a load of storage space. 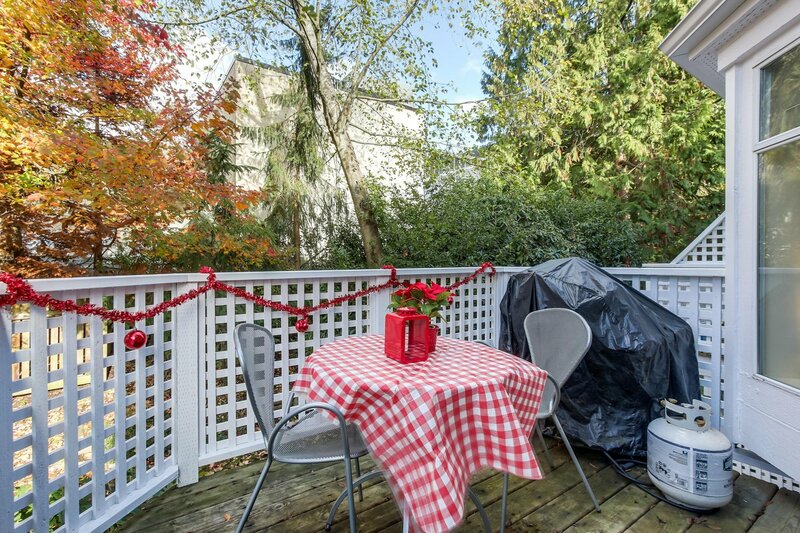 Double carport and on site visitor parking.